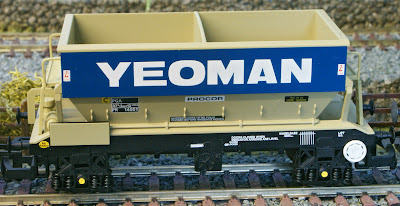 As I mentioned in my previous posting, we acquired some of the new Hornby Yeoman PGA Hopper wagons at the weekend - these, we thought, would look great behind our Class 20 or 37 locos. Indeed, they have already, briefly, featured in our latest video and will doubtless be seen again in future productions. We bought six in total: a pack of three in weathered condition that are all individually numbered plus three individual ones that are in pristine condition. 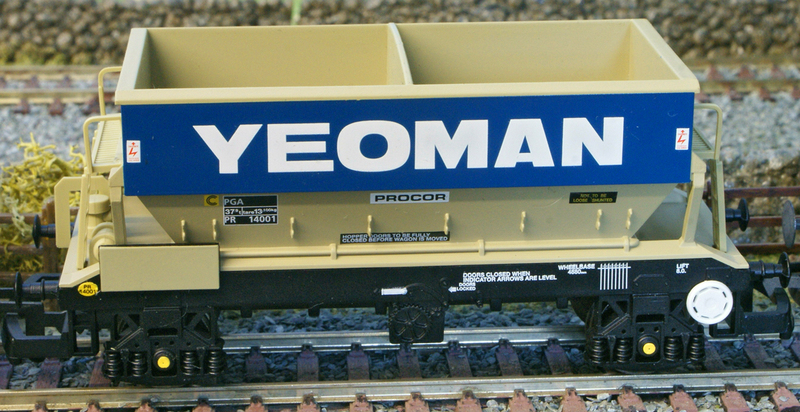 The pristine hoppers are numbered 14001 while the weathered ones are numbered 14002, 14003 and 14004. These are certainly superb wagons and we will be filling them with loads in due course. We will also, most probably, increase the number from the current six to nine or, possibly, more since we need a decent rake for the locos to haul. The Product Code for the single pristine hopper is R.6534. 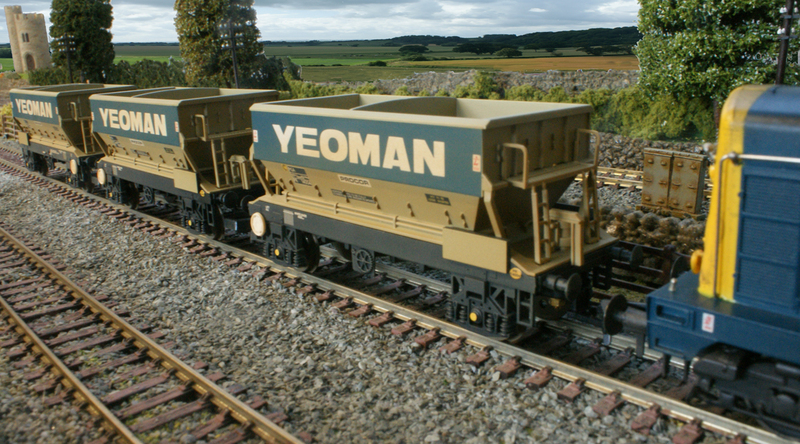 For the pack of three weathered hoppers the code is R.6486 while Hornby also do a pack of three pristine wagons for which the code is R.6511.